HLL Lifecare Jobs Recruitment 2019 for Staff Nurse, Nursing Trainer, Community Health Officer Posts: HLL Lifecare, Himachal Pradesh has advertised a notification for the recruitment of Staff Nurse, Nursing Trainer, Community Health Officer – 430 vacancies. Candidates are Interested in the Vacancies details and passed 5th, 8th, 10th, 12th, ITI Pass, Graduate, PG, Degree/ Diploma Examination. Candidate can apply on or before 28, 30-01-2019 & 01-02-2019 at 09:30 AM to 11:00 AM hrs on wards. Qualified in GNM or B.Sc. Nursing from a recognized institute for post no.1, B.Sc. Nursing from a recognized institute for post no.2,3. Candidates age limit is 40 years for post no.1, 35 years for post no.2,3 as on 01-01-2019. Age relaxation is as per Govt rules. HLL Lifecare Jobs Recruitment 2017 for Laboratory Personnel Posts: HLL Lifecare Limited, a Mini Ratna Central Public Sector Enterprise under the Ministry of Health & Family Welfare is a global provider of high quality healthcare products & services has Released Recruitment Notification for 500 Laboratory Personnel for HINDLABS Diagnostic Centers across Maharashtra state vacancies. Interested for getting Laboratory Personnel Vacancies. Qualified in M.Sc (Medical Biochemistry) with 5 years experience in Medical Laboratory for post no.1,2, MSc(MLT)/BSc(MLT)/ DMLT minimum 5/ 7/8 years of post qualification experience in clinical laboratory for post no.3, DMLT/BSc(MLT) For DMLT minimum 4 years and For BSc MLT minimum 3 years of post qualification experience in the relevant field for post no.4. Candidates age limit 37 years as on 01-02-2017. Age relaxation is as per Govt rules. Selection will be basis on Written Test/ Skil Test & experience. Interested candidates may forward their latest resume to hrhcsmumbai@lifecarehll.com. 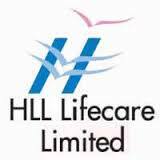 Relevant Addresses in HLL Lifecare Limited, Maharashtra. For further clarification contact +917900109534. HLL Lifecare Jobs Recruitment 2017 for Laboratory Personnel Posts: HLL Lifecare Limited, a Mini Ratna Central Public Sector Enterprise under the Ministry of Health & Family Welfare is a global provider of high quality healthcare products & services has Released Recruitment Notification for 500 Laboratory Personnel for HINDLABS Diagnostic Centers across Maharashtra state vacancies. Interested for getting Laboratory Personnel Vacancies, May Apply on or before 14 to 19-02-2017 at 10:00 to 12:00 Hrs on wards. Qualified in M.Sc (Medical Biochemistry) with 5 years experience in Medical Laboratory for post no.1,2, MSc(MLT)/BSc(MLT)/ DMLT minimum 5/ 7/8 years of post qualification experience in clinical laboratory for post no.3, DMLT/BSc(MLT). For DMLT minimum 4 years and For BSc MLT minimum 3 years of post qualification experience in the relevant field for post no.4. Interested candidates are required to bring all certificates in original along with attested copies to prove age, qualification, experience and latest salary certificate with break-up. SC/ST/OBC (non-creamy layer) candidates should produce their Community Certificate in original from the concerned Revenue Authorities. Failure to produce the above certificates in original will disqualify from appearing for the selection test. Selection Date: 14 to 19-02-2017 at 10:00 to 12:00 Hrs. Relevant Addresses in HLL Lifecare Limited,HLL Bhavan, 501&502,5th Floor, Plot No.86, Sector-11, Near Mandir Chowk, Khopra Road, Behind Khopra Bus Stop, Kharghar Navi Mumbai- 410210, Maharashtra. For further clarification contact: +917900109534.